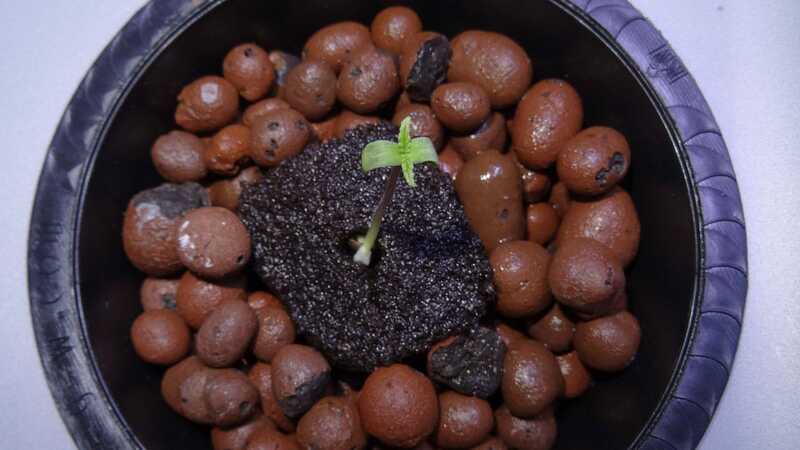 Is your cannabis seedling growing upside down? Has the tap root come above the soil? The first thing to do is get a new Rapid Rooter. 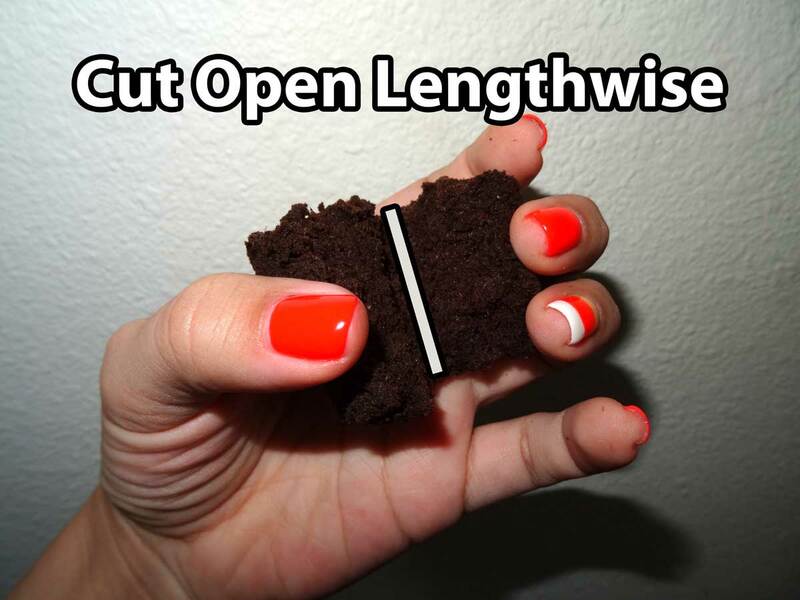 Since your seed already has a relatively long root, cut the plug open lengthwise so you can gently place the seedling inside in the right position without having to "push" down on the seed. Now gently extract the seed from its original home with a pair of tweezers making sure to touch only the shell and not the root (the root is the most sensitive part)! 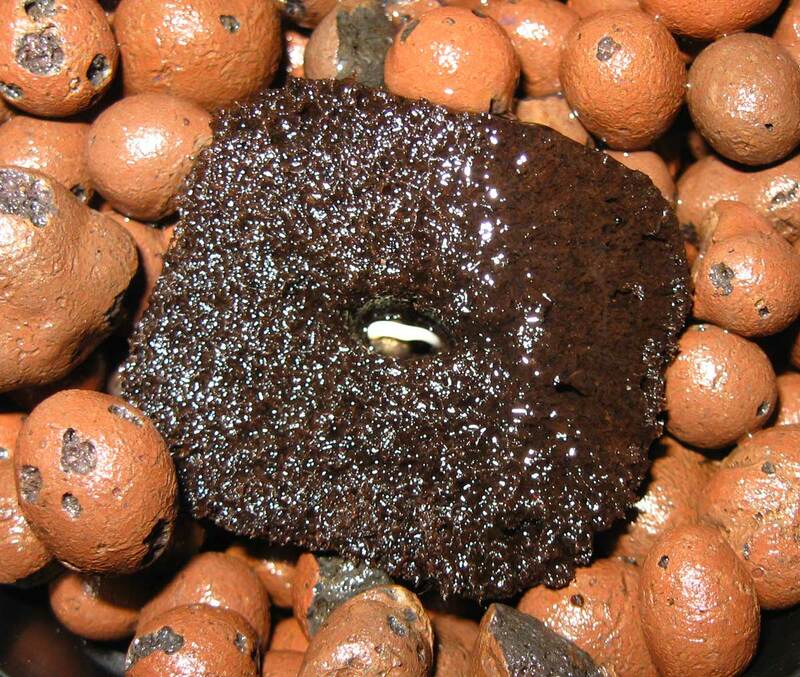 Now lay the seedling in the middle of your newly split open Rapid Rooter and gently close the plug around it again. 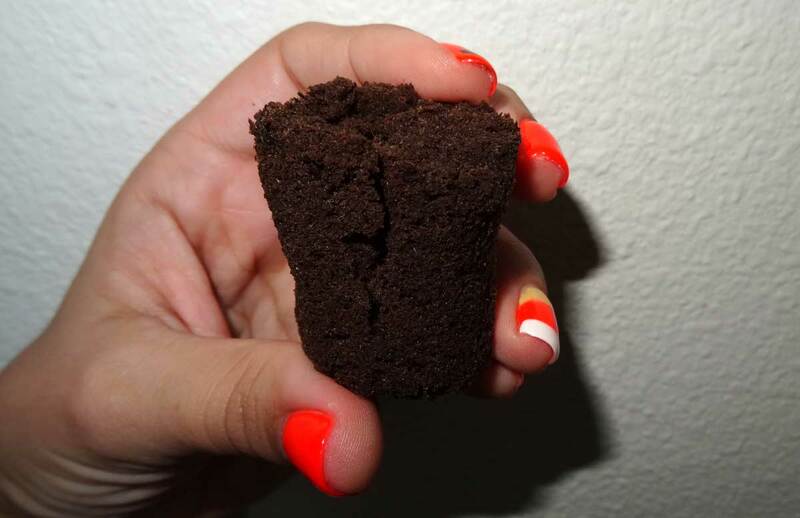 Since your seedling has already sprouted and has been in placed into the right growing position, it'll probably pop its head out within just 12-24 hours! Sometimes you see just the leaves, but occasionally you actually see the seedling push the shell above ground. 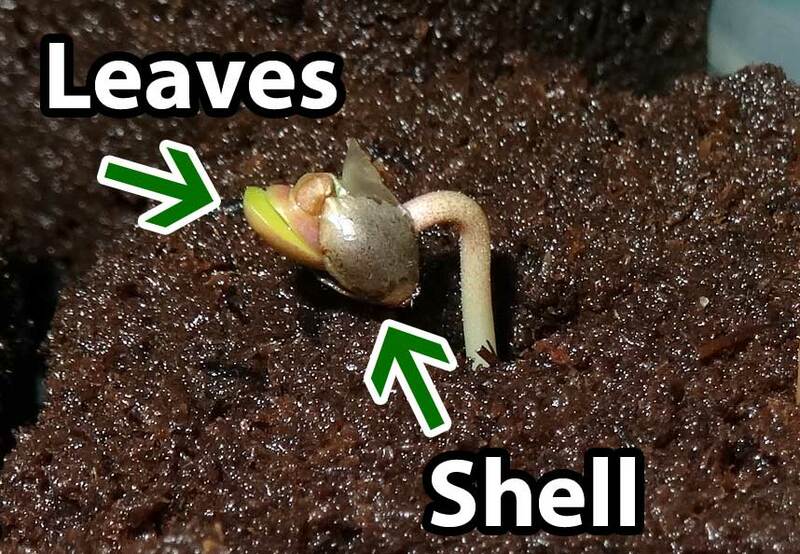 When this happens the shell usually falls off on its own as the seedling grows! When Should I NOT Do Surgery? Sometimes you can see the young taproot of a cannabis seedling but the situation isn't as dire. If the root is already pointed in the right direction, it's probably going to be just fine! But if you're worried, you can cover up the root until the leaves actually make it to the surface. For example you could tear a tiny piece off the edge of this Rapid Rooter and gently lay it on top. Or if you were in soil you could sprinkle a tiny bit of soil over the seedling. The seedling will push it off as it grows upward. 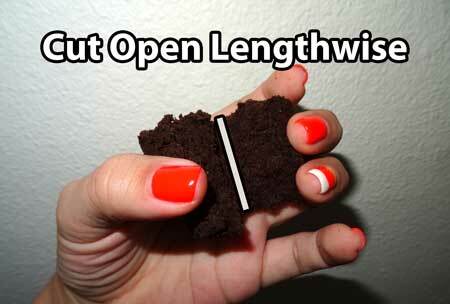 This case isn't so bad because the root is already facing down, in the correct direction. 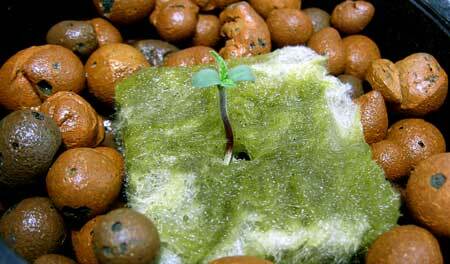 Note: This seedling was just watered, but typically the Rapid Rooter should never look this wet. It should be moist but not shiny. 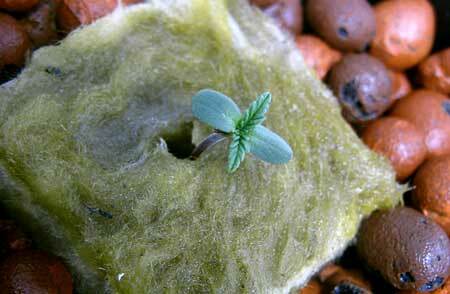 The cotyledons unfurl and then the regular cannabis leaves between to grow. 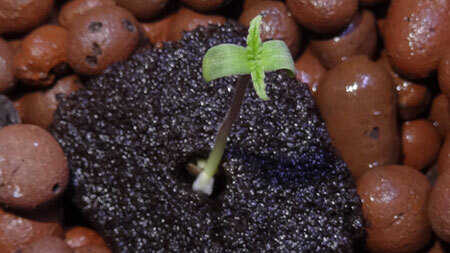 Here's another view of that same seedling from above only a few hours later. 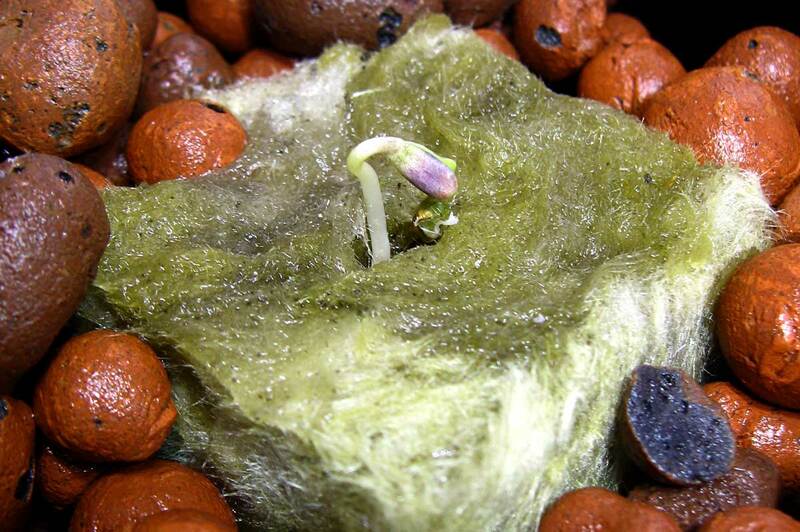 Even though it may have looked a bit weird at first, this seedling is completely normal and will grow just fine from now on! 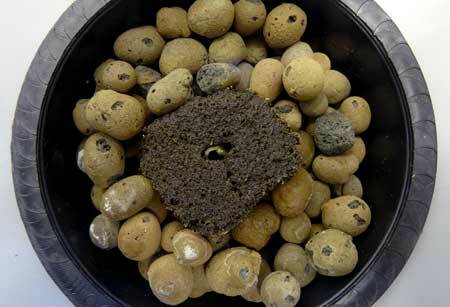 Most of the Time Seedlings Take Care of Themselves! 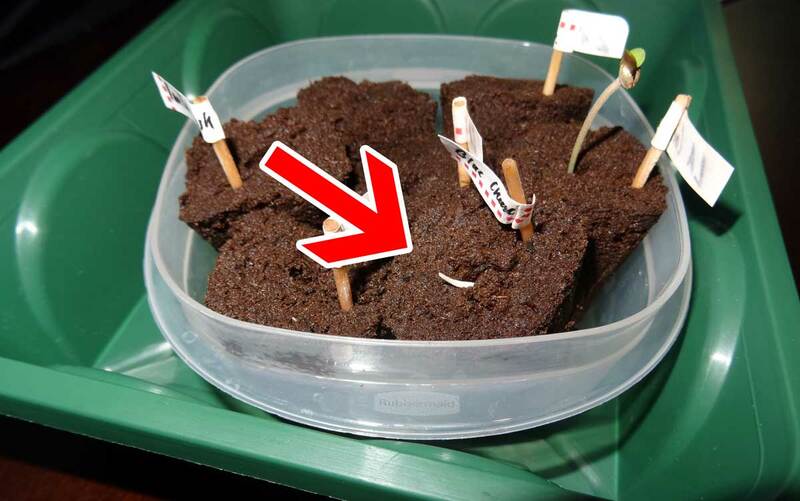 When you see your seedling looks like this, where the part of the root exposed to the surface already looks green like a stem, you don't need to do anything. After germination, the tip goes down and stays white, and the other side that's contained in the shell tries to work its way up, and that part of the stem turns green. 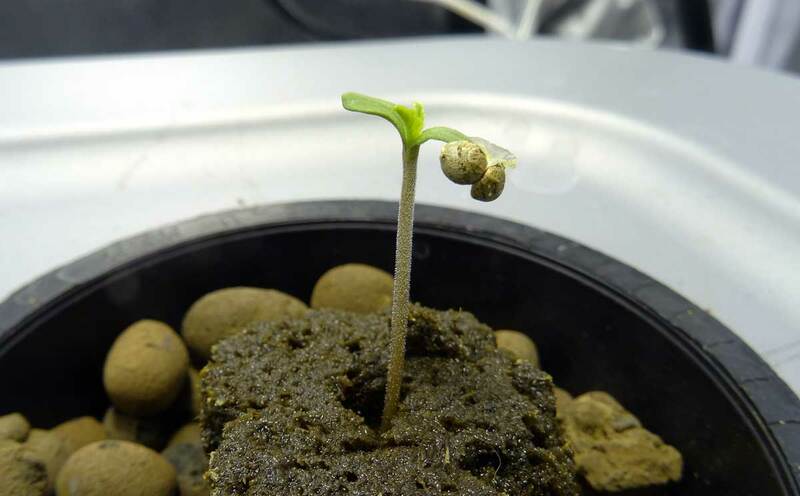 Sometimes it looks like the root is going upside down because it appears that it's not strong enough to be able to push the seed up. 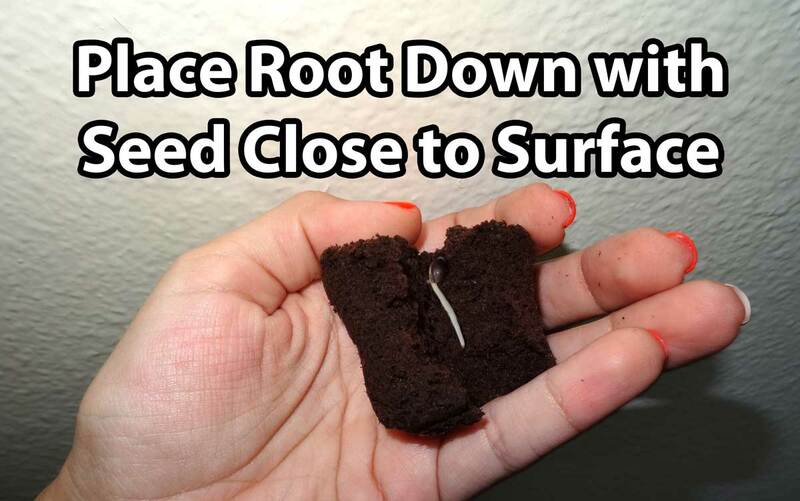 As long as the tip of the root stays wet the seedling will be fine! The "root" is the same as what is going to become the stem. 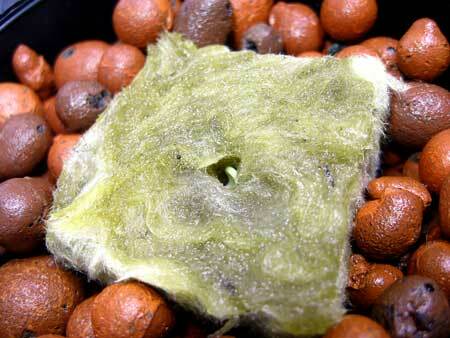 If it appears green it means that part of the root is already in "stem" mode and isn't sensitive to the light. 12 hours after that, the leaves have completely emerged! If you hadn't been watching you wouldn't even have known anything happened! What Type of Nutrients Should I Use?